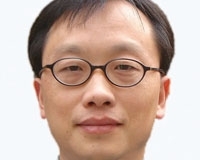 Yang Jian is the managing editor of Automotive News China. SHANGHAI -- This may sound odd, but Beijing's newly announced pilot program to subsidize the sale of plug-in hybrids and electric vehicles in five cities has little to do with the country's serious air pollution. The central government's real goal is to help key domestic automakers leapfrog their foreign competitors in the race to develop advanced powertrains. If you doubt this, you might ask why Beijing – one of the world's most polluted cities – is not on the list of five cities that will subsidize the sale of EVs and plug-ins. That list, by the way, is a handy guide to Beijing's list of winners and losers – that is, the domestic automakers that the government is prepared to support. Before we name those winners and losers, here's a summary of the pilot program. Purchasers of plug-in hybrids will receive up to 50,000 yuan ($7,321), while buyers of pure electric vehicles will receive up to 60,000 yuan ($8,785). The five participating cities are required to set up battery recharging stations and recycle used-up batteries. Those cities also are likely to offer additional subsidies. Shenzhen, for example, already has announced that it will offer an additional 20,000 yuan ($2,928) to each purchaser of an electric vehicle or plug-in. Add it all up, and you can see that selected domestic automakers will enjoy big competitive advantages over their rivals. And who are those winners? Let's start with that list of cities. Participants in the pilot program are the cities of Shanghai, Changchun, Shenzhen, Hangzhou and Hefei. Those locales happen to be the corporate homes of six domestic automakers. Shanghai Automotive Industry Corp. is based in Shanghai; FAW Group is in Changchun; BYD Auto Co. is in Shenzhen; Chery Automobile Co. is in Wuhu, near Hefei; and both Zhejiang Geely Holding Group and Zoyte Holding Group are in Hangzhou. Each of these automakers has displayed plug-in vehicles and electric cars at China's auto shows, and each has obtained licenses from the central government to build them. Moreover, these automakers enjoy close ties to their local city governments. For example, BYD recently announced plans to deliver hundreds of e6 electric cars to Shenzhen's taxi fleets. Over the next few years, we can expect similar fleet sales in other cities. Who are the losers? Two major automakers were left off the list: Changan Automobile Group, based in Chongqing; and Beijing Automotive Industry Holding Co.
Changan has invested in all kinds of technologies, including conventional hybrids, plug-ins, EVs and fuel cells. But Changan hasn't made as much progress in plug-ins and EVs as the six automakers included in the pilot subsidy program. Likewise, Beijing Auto displayed electric vehicles at the Beijing auto show in April, but it hasn't made much progress either. There is another aspect to this pilot program worth noting: The domestic automakers now know which technologies to invest in, and that may be worth as much as the actual subsidies. Previously, it wasn't clear whether the central government favored research on fuel cells, plug-ins or "pure" electrics. Now Beijing's mandate is clear: fuel cells are on the back burner. That's a setback of sorts for SAIC, which had invested in fuel cells along with hybrids and EVs. Last week's announcement was jointly released by the Ministry of Industry and Information Technology, the Ministry of Science and Technology, the Ministry of Finance, and the National Development and Reform Commission, which is China's highest economic planning agency. This indicates that government bureaucrats have reached a consensus, said Duan Chenwu, auto technology analyst with IHS Global Insight in Shanghai. "The most significant thing about the pilot subsidy program is that the government has made it clear which direction domestic automakers should follow," he said. "At this stage, that means more for the domestics than the subsidies."